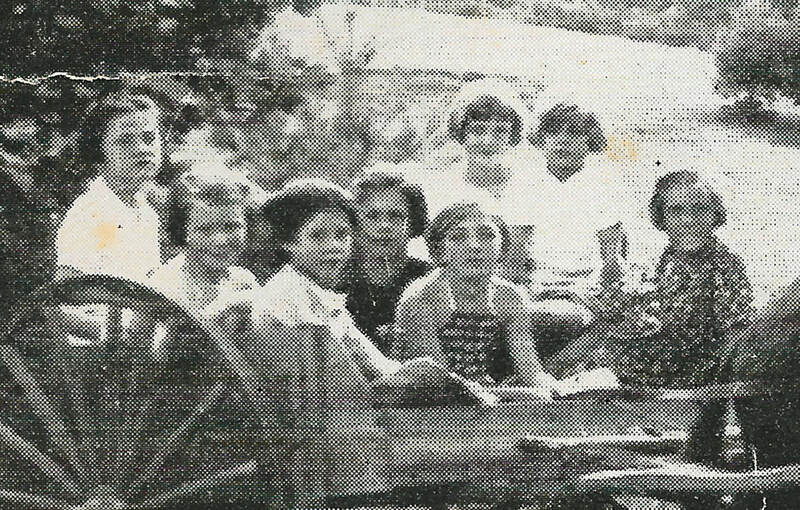 Local sources say that this girls and boys summer camp was located on the former George H. Holmes (1833 - 1910) estate of the Welsh Colony, Big Willow. Location to be verified. on the French Broad River and Cummings Road. The postcard above is from Mrs. T. M. Abbott, the camp manager, to Mr. Weldon Blythe (Sherrill Weldon Blythe 1901 - 1952, Beulah Baptist Church Cemetery). "Thank you for your card. Yes, Please you keep peepy for me, I would rather have him there with you. Hope you are well and happy. 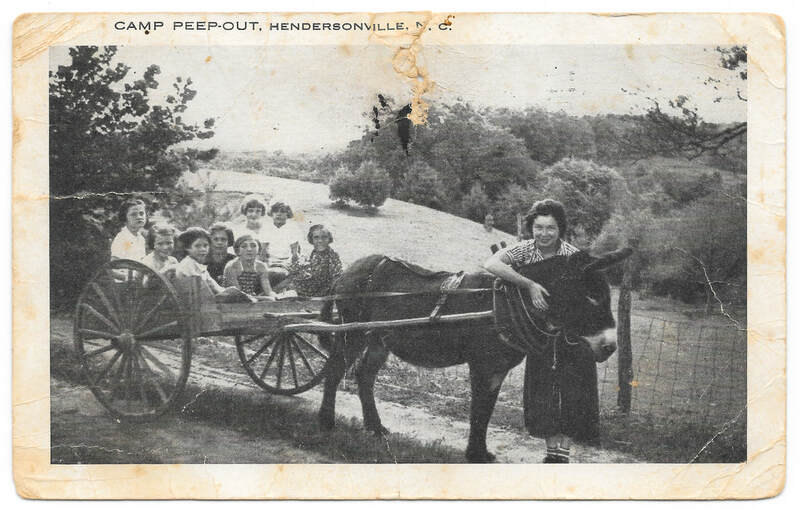 Very truly, Mrs. T. M. Abbott"
Perhaps "Peepy" is the mule pulling the wagon load of campers. Who is the woman in the photo? She may be Mrs. T. M. Abbott of Charlotte, the manager of the camp who is mentioned in the 1937 Times-News clipping. ​The children in the wagon are not identified at this time.